Healthy chocolate muffins!? Is this a thing? Absolutely. I feel like I’ve been killing this muffin meal prep game. I love having these as a snack or before a workout. Mixed Berry Chocolate Protein Muffins are no exception. 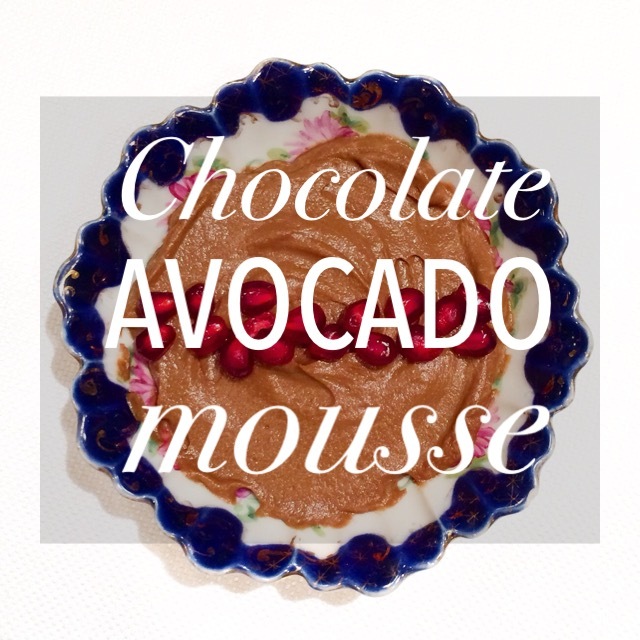 You satisfy your chocolate craving as a yummy breakfast or snack. I used my strawberry rhubarb compote to act as the berries, but feel free to use mashed raspberries instead; plus, I don’t know about you, but there’s something I love about the way blueberries bake into muffins. To Brownie or Not to Brownie? I didn’t want to call these brownies because I don’t think of these as a true brownies without chocolate chips, so I settled on bars. Plus, are brownies ever really healthy? Maybe, maybe not. (Deep, pondering life thoughts by Annie to be continued . . . .) Whatever I call them — Dark Chocolate Coconut Raspberry Bars — can be a dessert or double up for a snack. Made grain-free using cocoa powder and plant-based chocolate powder as the base, these bars came out darkly dense made tart with raspberries. I think I found my new cheat brownie recipe. These Five Ingredient Protein Brownies grain free, contains no refined sugar and has a bit o’ protein. Plus it hits the spot when you want a brownie without having a real brownie, so it’s like a guilownie — a “guilt-free brownie” obviously. I’ve really enjoyed making protein muffins lately, so I thought why not try something similar with desserts? I’ll admit I was a huge skeptic when I saw this recipe in Giada De Laurentiis‘s cookbook, Giada’s Feel Good Food. My mom, who had also given me this cookbook, gave it rave reviews. Still, I was hesitant to make this, just like I was to try that quite green tasting kale smoothie. Won’t it just taste like a bunch of avocados poorly disguised as a dessert? Boy was I wrong. Made free from any gluten or dairy, it’s a universal, yet elegant dessert for the holiday season. Best with extremely ripe avocados to obtain that silky smooth consistency (how to find ripe avocados here). Admittedly, I must be in the mood to indulge in this dessert, but the Avocado Chocolate Mousse is decadently creamy, somehow both light and dense all in one bite, and utterly delicious. Top with some fresh fruit and mmmm, so good. For all you chocolate lovers out there, this Chocolate Chai Oatmeal tastes like chocolatey cinnamon heaven. I added the chia seeds for some extra fiber, protein, antioxidants and omega-3’s. I honestly forgot I added them to the oatmeal at all because they blended in so well. 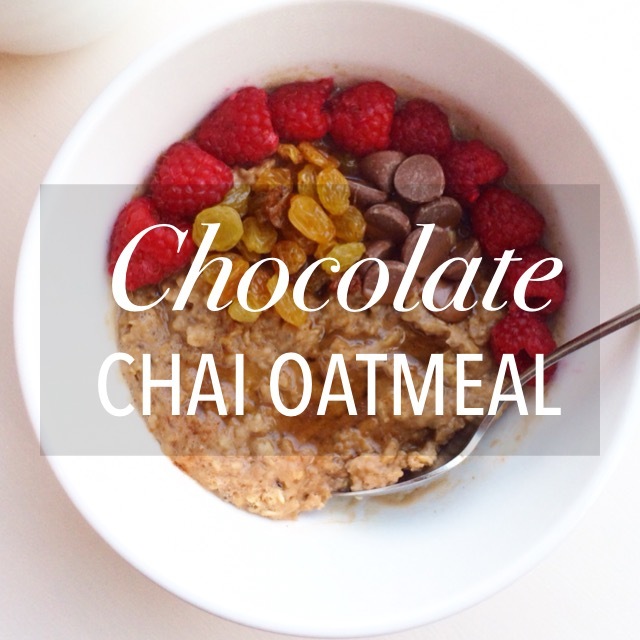 The chocolate chips melt into the oatmeal, creating a luxuriously decadent flavor. The end product doesn’t appear too dark or chocolatey because I reduced the amount of cocoa powder since I added chocolate chips as well. Trust me — all the flavor is there. The cinnamon in the chai tea compliments the chocolate, and the fresh raspberries contribute a tartness to the oatmeal’s sweetness. Sometimes you just need a little chocolate for breakfast.